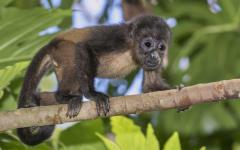 The best Costa Rica family vacations blend excitement, relaxation, intrigue, and adventure. Discover wildlife, bask in the coastal sunshine, and wander through a mixture of cloud and rainforest during your Costa Rica vacation that is custom-tailored for the whole family. Soar through the sky on a thrilling zip line excursion offering views of nesting birds and resting sloths, then indulge in hot springs for a reprieve from the countless exciting activities. 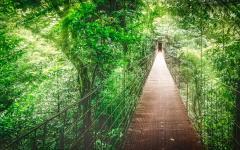 Venture onto the trails at night to find boa constrictors and ocelots for another fun and unique experience the whole family will appreciate while traveling through Costa Rica. 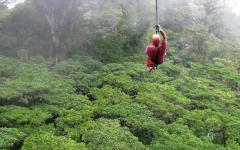 Costa Rica is like an endless playground for family, fun, and adventure during your 9-day Costa Rica vacation. From zip lines to rafting safaris, hanging bridges to meandering trails full of wildlife, you will have an endless choice of activities. 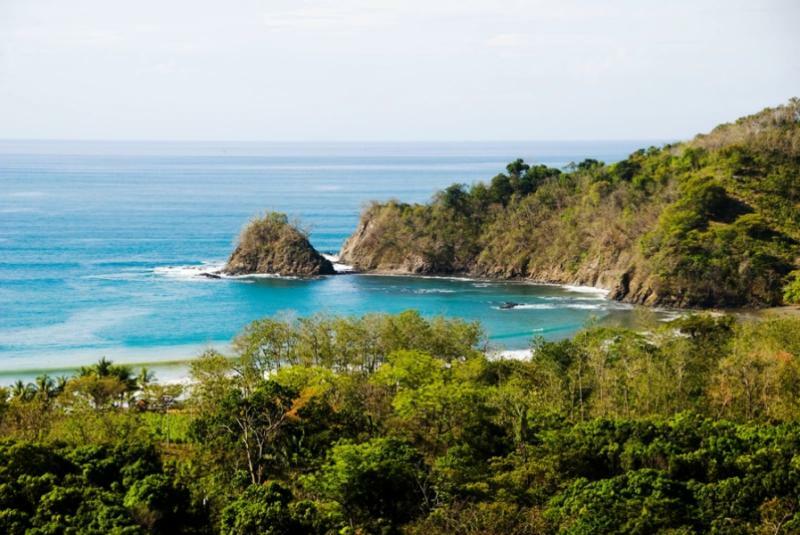 Your vacation in Costa Rica offers effortless bonding experiences, all while enjoying the splendors of the rainforest, cloud forest, and coastal scenery. You begin your family vacation with your arrival at Juan Santamaria Airport in San Jose where your private transfer greets you at customs and escorts you to a luxury resort with a view of the famous cone-shaped peak of Arenal Volcano. You have time to relax at the pool or discover the thermal springs connected to your resort property. 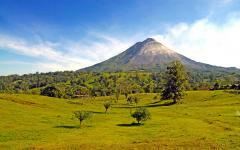 The adventures abound in Arenal with family-fun activities that are both safe and exciting. Spend time in the trees on a fabulous zip line excursion and visit an organic farm that offers insight into the cultivation of the thriving produce around the country. Travel the trails to a waterfall while on horseback and learn to make velvety dark chocolate that everyone in the family can enjoy. 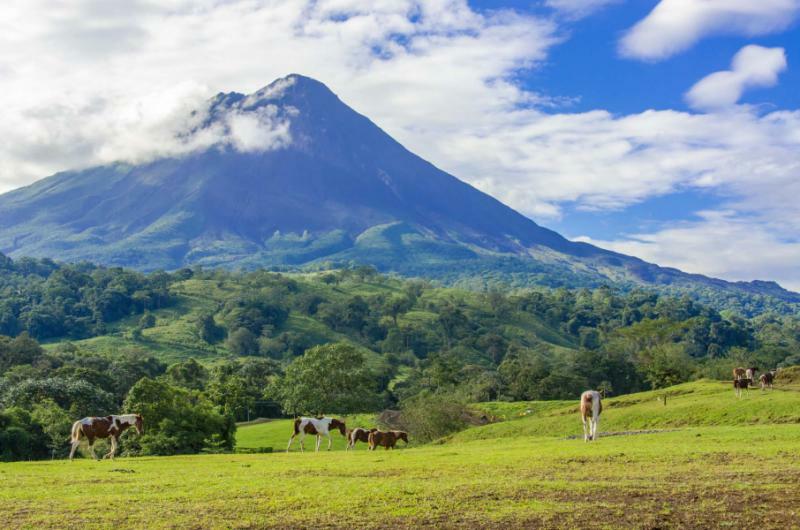 Your journey to Monteverde offers another exciting adventure by cruising the waters of Arenal Lake, followed by a 4x4 jeep excursion leading up the mountain to your lodge. 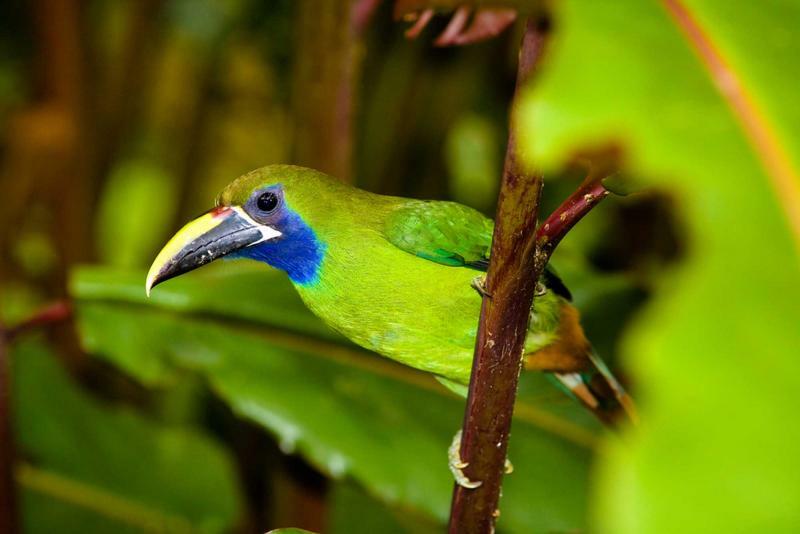 In the evening, you have a guided tour along the trails of Monteverde Cloud Forest Reserve in search of the nocturnal wildlife of the region, which includes jaguars, snakes, and frogs. The marvels of the forest include the hanging bridges and a hike in Santa Elena Reserve, offering you a choice of natural splendors from which to choose and experience. En route to your luxury lodge on the Pacific Coast, you stop for a river safari on the calm waters of the Corobici River where you can spot birds, monkeys, sloths, and crocodiles. 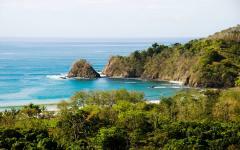 While in Guanacaste you bask in the comforts of a sunset cruise and snorkel tour. You will then discover the unique biodiversity protected by Diamante Eco-Adventure Park, where a mixture of zip lines, hanging bridges, and private beaches help support the animal rescue and wildlife sanctuary. 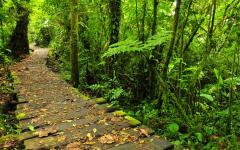 Consider browsing our Costa Rica trips page to gain further inspiration on planning your own Costa Rica family vacation. Families from around the world travel to Costa Rica to enjoy the thrill of discovery, the exhilaration of adventure, and the comforts of attentiveness and luxury from the Central Valley to the Pacific Coast, the Highlands to the secluded Caribbean Sea. Your flight lands at Juan Santamaria International Airport, where your private transfer greets you upon arrival. The capital city, San Jose, bustles with importance as the economic and cultural center of the country. Mansions dating back to the 19th and 20th centuries represent the aristocracy that emerged from the coffee trade when residents were eager to prove their elegance and prominence through their Victorian, art deco, and colonial-style homes. You pass through the edges of the city finding colorful markets with open walls and glowing with tropical colors. Your kids marvel at the brightness of the watermelon cut in half to showcase its freshness. Bananas dangle from the rafters alongside plantains, and the herbaceous aroma of the tall grass and thriving tropical trees fills the air. You continue around the winding roads and over the mountains encircling the Central Valley to reach the town of La Fortuna. The once sleepy agricultural community rests on the foothills of Arenal Volcano. 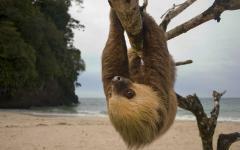 Your driver points into the trees along the riverbanks at sleeping sloths and the kids gaze into the branches searching for the lazing mammals that use the tree like a hammock. The road in front of you frames the perfectly cone-shaped peak of the volcano. Upon reaching the opulence and family-friendly grounds of your luxury resort, you sink into the surrounding comforts with ease, taking to the naturally heated thermal springs connected to the property for an unparalleled welcome to Costa Rica. 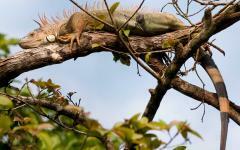 Consider reading some of our travelers' Costa Rica vacation reviews to learn more about this exciting tour. At breakfast, the kids quickly take to the variety of delights offered in the dining room as the surrounding wildlife becomes active in the cool temperatures of the morning light. The scent of pineapple and coconut syrup drifts through the dining room, and howler monkeys call to one another in the trees. At first, the kids jump from the cacophonous, guttural sound that can be heard clearly up to three miles away, until the staff explains that the call isn’t from an angry jaguar but a troop of monkeys grazing in the trees. After the meal, your guide greets your family in the hotel lobby and escorts you into the treetops to begin your fantastic exploration of the rainforest canopy. The tropical heat returns, making the air thick and warm. After an in-depth safety briefing, your guide clips you to the first of seven cables, the longest of which reaches nearly 2,500 feet in length. The kids burst with excitement, which quickly overtakes their initial fears of walking around the platforms more than 650 feet above the forest floor. The wind brushes against your cheeks. A white-tailed hawk glides past and perches on an exposed branch at the top of a tree, peering down into the nearby river in search of leaping fish or passive sloths. 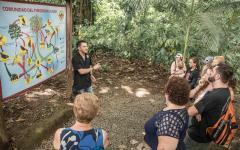 After exploring the treetops, you continue to a private family farm to learn about the cultivation of organic fruits and vegetables across Costa Rica. The kids light up when your guide picks a pineapple and cuts it open, offering a slice of the juicy, sweet treat to everyone in the family. 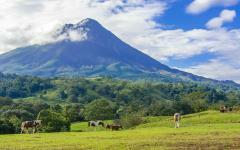 In the morning, sporadic clouds pass over the peak of Arenal Volcano, and birds of paradise glow orange, red, and yellow against the encompassing emerald hues of the rainforest. A blue-crowned motmot chirps in the trees near the dining room. The staff coos at the appearance of the gorgeous bird, whose iridescent blue crown and wings accentuate the way the tassels at the edge of its tail-feather dangles beneath the branch. After breakfast, you set out on the trails around La Fortuna to view the eponymous waterfall on horseback. 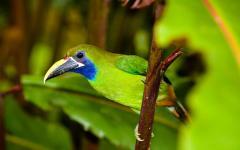 The tame and calm horses follow your guide through the combination of rainforest terrain and scenic plantations. You dismount the horses at an opening on the trail, following the walkway and traversing the more than 300 steps leading to the base of La Fortuna Waterfall. The sound of thundering water echoes in the trees as the cascade mists around the waiting pool, offering refreshing moisture to the tropical heat. The waterfall spills over 260 feet over the cliff and creates a serene, remote ambiance. After returning from your ride in the countryside, you continue to a private plantation to begin your discovery of delectable Costa Rican chocolate. The kids marvel at the large pods dangling from the trees, wondering where the familiar cacao beans are. The firm, smooth texture of the rind shines green, orange, and red. The kids take pleasure in knocking the pod against a table to cut it in half, revealing a gelatinous interior coating the raw beans. You sample the coating to find a tangy flavor and sticky texture. After drying, roasting, and grinding the beans, the kids delight in the production of velvety dark chocolate, which the whole family can enjoy until the bowl runs dry. At breakfast, the kids look into the trees to find more of the majestic wildlife, keeping track of the number of white-headed capuchin monkeys and ruby-throated hummingbirds they have seen so far. You point to the rocks near the pool where Jesus Christ lizards bask in the returning sunlight. The kids want to watch the lizard run across the water, but you don’t disturb them. After the meal, your private driver collects the family at the lobby and escorts you to the shores of Lake Arenal to enjoy a comfortable cruise over the water. Rainbow bass fills the humanmade lake, and the breeze rushes over the surface and carries a cooling temperature. You look back at the shoreline where the volcanic peak looms over the waterway and landscape. Upon reaching your resort in Monteverde, you settle into the ease and comfort of your accommodation. The luxurious lodge blends into the forest trees, looking out over the rolling peaks of the cloud forest. You step onto the trails with your private guide to discover the nocturnal life wandering along the more than 40 square miles of protected landscape. The scent of pine fills the cool evening air that is a refreshing change from the tropical heat that coated Arenal throughout the day. Large leaves resembling fans dangle over the trail edges, and your guide shines a flashlight over a rustling branch where a red-eyed tree frog is perched, its stunning red eyes and blue legs shimmering in the light. The kids stay close to you as your guide finds a kinkajou running through the trees above, startled by the light. At breakfast, you watch the clouds drift through the surrounding forest, offering credence to the name Cloud Forest. The mist rolls through the trees and across the soil, leaving moisture on the blanketing moss that helps feed the unique biosphere. 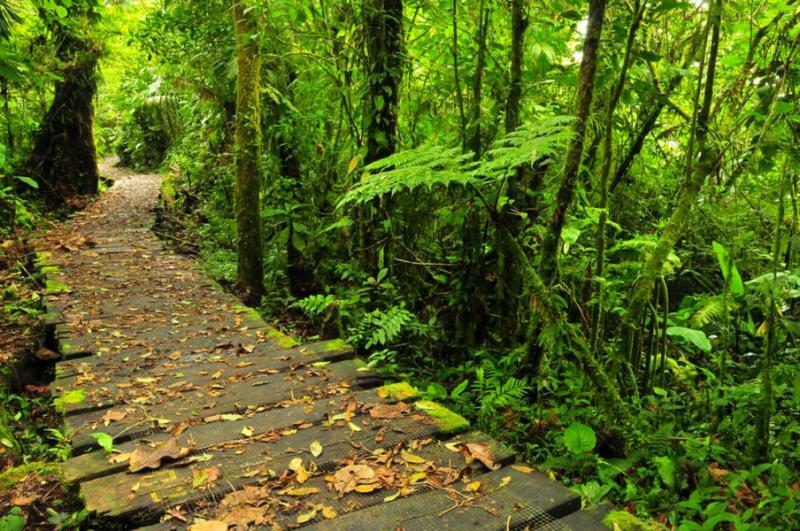 The day is yours to explore the splendors of Monteverde Cloud Forest and Biological Reserve with your choice of excursion. Trek the trails with a naturalist guide or visit the smaller sister reserve for a unique exploration of the 765 acres known for its dangling vines and fascinating vegetation. 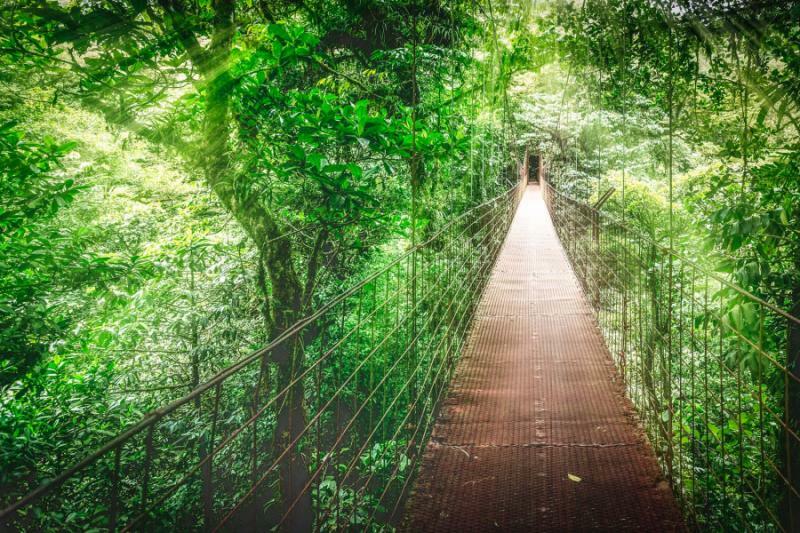 You venture into the canopy to wander along the treetop walkways. The trail extends for nearly two miles over a series of eight suspension bridges, and the kids enjoy the unique way the bridges bounce with each step you take. The birds-eye view spreads through the treetops along the long walkways hovering nearly 200 feet above the forest floor. With over 100 different species of mammals and 400 different types of birds, the scenery quickly offers vistas of sloths hiding beneath the emerald leaves and tapir grazing on the underbrush. In the hummingbird gardens, the kids try to chase the fluttering and zipping birds through the observatory. A stunning violet sabrewing stops on a thin branch and catches your attention. The bird can grow up to six inches long, making it the largest hummingbird outside of South America. After breakfast, you head down the hills leading away from the cloud forest and Monteverde. Moisture clings to the moss and leaves decorating the branches causing the forest to glisten as you make your way towards the Pacific Coast. Before reaching your eco-luxury hotel on the Papagayo Gulf, you stop along the banks of the Corobici River for an adventure fit for all ages of your family. You notice the tropical heat washing over the landscape with the sunlight piercing the surrounding canopy as you step into the raft and let the calm river sweep you away. Your guide leads you along a nine-mile circuit of the serene Corobici River punctuated by fallen trees and hidden wildlife, exposed roots and fascinating treetops. The riverbanks house more than 300 different species of birds, including the roseate spoonbill and boat-billed heron. A tiger heron perches on a tree and takes a break from scanning the riverbanks for crabs and frogs to watch your delighted kids float by. The oar splashes against the water and a Jesus Christ lizard springs from his hideout on a sun-drenched rock, speeding across the top of the water until reaching the safety of the riverbank. 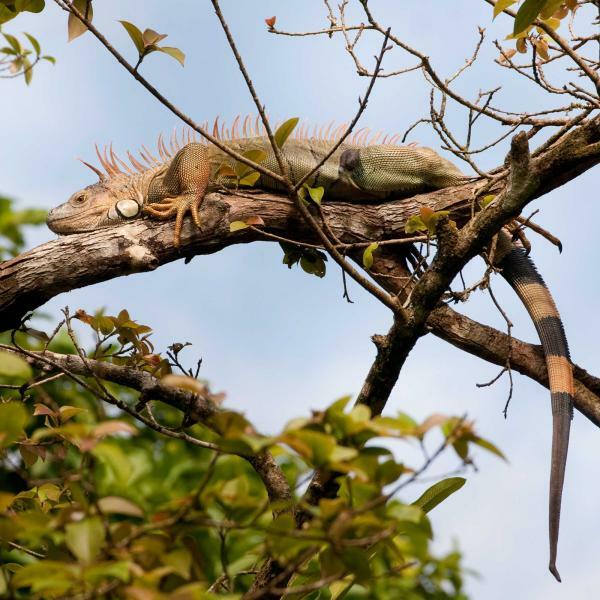 The kids point into the trees at a troop of howler monkeys grazing on the nuts and fruits, and large iguanas watch you pass from the comfort of the rocks, branches, and logs. In the morning, the aroma of the sea accompanies the refreshing scent of fresh coffee brewed to your taste. The kids recount their favorite animal sightings from the previous day while enjoying delicious pancakes dressed in coconut syrup. The day is yours to enjoy the surrounding beauty of the Papagayo Gulf at leisure, from relaxing on the hot golden sand to learning how to paddle board on the tranquil waters with a view of the coastal rainforest. In the afternoon, you board a private catamaran and set sail on the Pacific Ocean. The water shimmers with turquoise and indigo hues beneath the waning sunlight. The coastal breeze rustles the palm trees and catches the sail, carrying you farther onto the water. You find secluded beaches reachable only by boat where hammocks dangle from supporting palms. 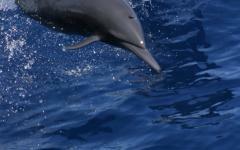 A chef on board the boat crafts delicious snacks, like guacamole and pico de gallo, and the skipper calls the family’s attention to the back of the boat where a pod of dolphins is passing on the horizon. Spinner dolphins can travel in pods of up to 200, and they showcase their social personalities with playful leaps and flips from the water. The sun begins to set and casts a fantastic orange and purple swirl across the western sky before the boat returns to the marina. Nature abounds across Costa Rica and continuously captivates the family through the vibrant flora of the rainforest and the active wildlife around the cloud forest and in its oceans. 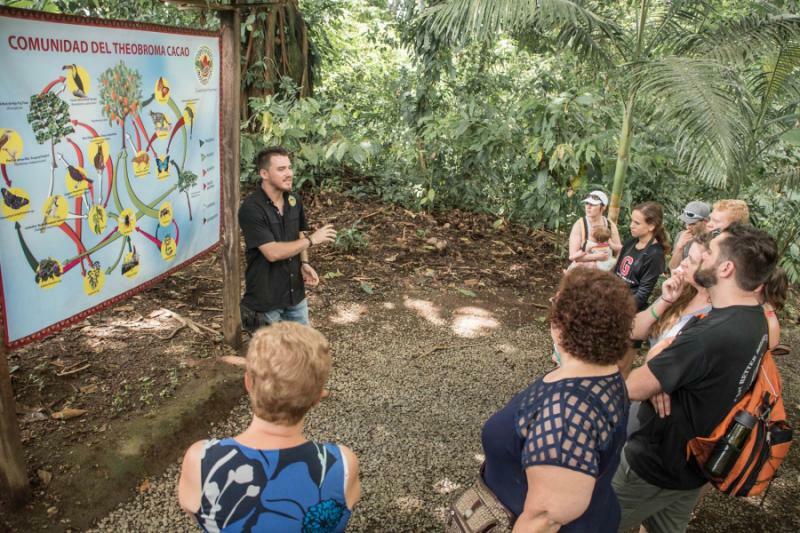 For a deeper understanding and interaction with the natural splendor around Costa Rica, your private driver escorts the family to Diamante Eco-Adventure Park for a full-day excursion. 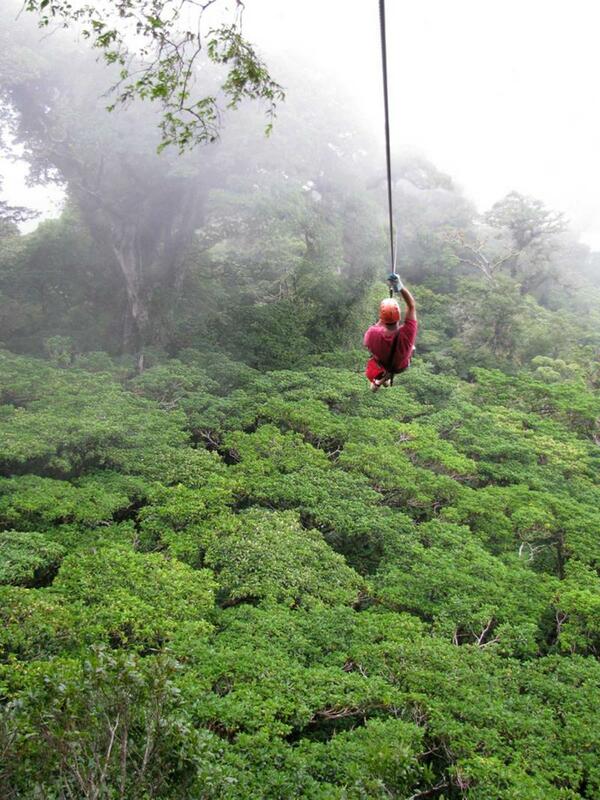 The unique environment capitalizes on the biodiversity of Guanacaste, promoting exciting zip line tours, ATV explorations, kayaking adventures, and a variety of other thrilling activities. The family can choose their preferred expedition, taking to the animal sanctuary for an up-close and personal experience with the wildlife. Your guide leads you through the largest animal sanctuary in Guanacaste, where wildlife such as sloths, monkeys, and toucans are rehabilitated. You step into the butterfly conservatory and follow the bright colors of the surrounding butterflies. Blue morphos flutter their wings and fly in zigzag patterns around the budding flowers and open fruits beckoning with promised sweetness. The white, red, and black wings of the Heliconius doris capture your attention as they spread their wings against the large leaf upon which it rests. You continue on the trail through the animal conservatory where jaguars rest in their enclosures and learn that the big cats were brought to the park after being confiscated from a private owner who wanted them as pets. The park helped rehabilitate the jaguars and provides a large environment in which the can play and roam. 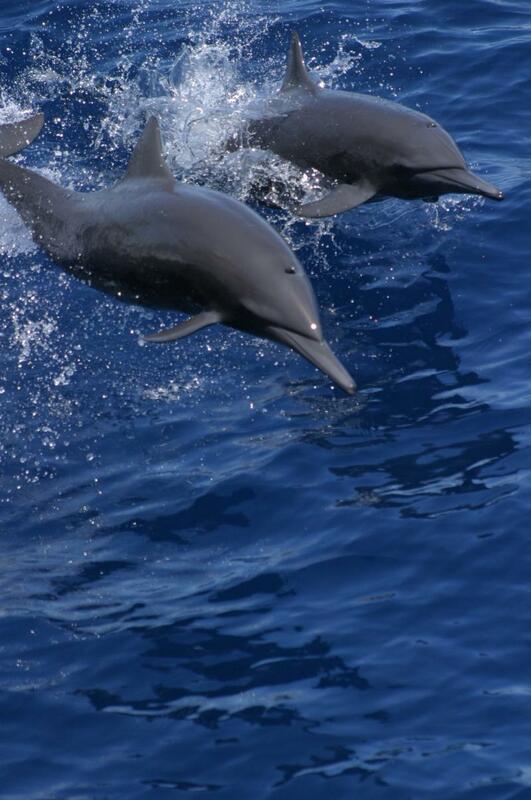 At breakfast, the kids once again recall their favorite moments of their Costa Rica vacation, imitating the calls of the howler monkey and trying to recount exactly how the spinner dolphins leapt from the Pacific during your sunset cruise. The pleasures and splendors of Costa Rica have brought your family closer together, allowing everyone to experience and enjoy the scenery, wildlife, and luxuries. After the meal, your private transfer greets you in the hotel lobby and escorts you to Daniel Oduber Quirós International Airport in Liberia for your flight home. "Everything worked out wonderful with all the people that we met along the way."